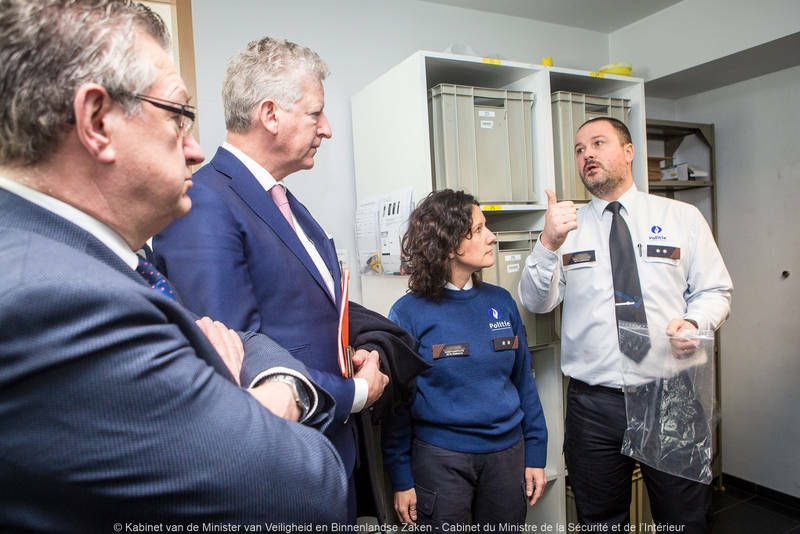 On February 23 the Minister of Home Affairs & Homeland Security Pieter De Crem visited the seaport of Zeebrugge. During this visit Minister De Crem was accompanied by the Governor of West-Flanders Carl Decaluwé, the Major of Bruges Dirk Defauw, the Port Authority and members of the Public Security Authority. The challenges created by refugees and the consequences of a ‘deal’/’no deal’ Brexit develop a new security context in the Province of West-Flanders. To ensure better and more intense security cooperation Minister De Crem announced the Federal Police will hire 40 additional staff members in the short term to ensure border protection. The second measure taken by Minister De Crem is to appoint a liaison officer in London the exchange data and information after the Brexit to ensure that the common security concerns of Belgium and the United Kingdom are accurately managed in the future.